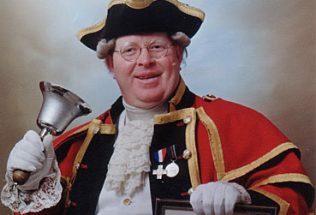 Alan, Gloucester’s high profile Town Crier, holds the world record for the cry of “Oyez, oyez, oyez” at 112.8 decibels, and holds another world record for vocal endurance. A Gloucester man born and bred, Alan has entered fully into the life of the City, including as a member of the Gloucester Operatic and Dramatic Society (GODS), throughout the time that the Society was based at the Picturedrome. 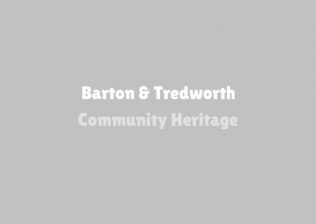 He was instrumental in the revival of the annual appointment of a Mock Mayor of Barton Street, a story which Alan recounts with his trademark good humour. You can find more information about the Mock Mayors here and in Alan’s third audio clip. Finally, Alan talks about his enjoyment at being able to entertain, including the story of how Mr Toad came to take over the airwaves! We are grateful to Alan for allowing us to take these photographs from his web site, which you can access using this link.